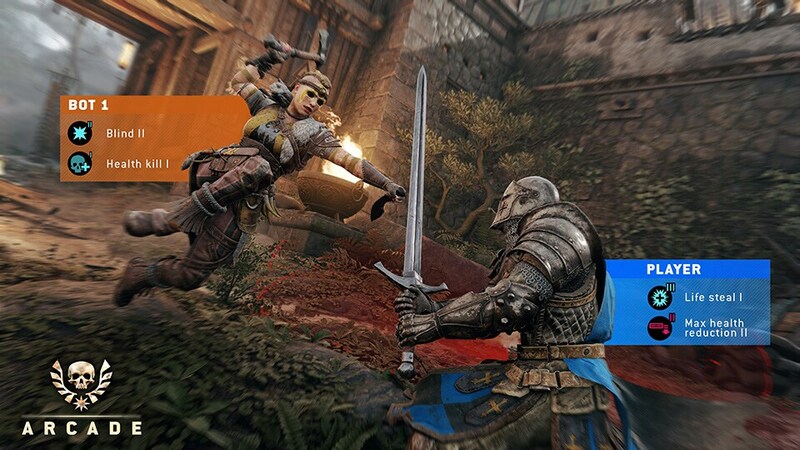 Marching Fire, the biggest update to For Honor since launch, just got even bigger with the inclusion of a brand new Arcade mode. Launching on October 16, the new PvE content will allow Marching Fire owners to compete in randomly generated combat scenarios of varying difficulty, ensuring that each experience is unique. As you complete challenges, you’ll unlock rewards that will allow you to level up your Heroes’ gear score and Reputation level. All Hero progress made in Arcade transfers over to multiplayer, making it the perfect place to test out and rank up new Heroes. And, if you want to start preparing for Marching Fire now, you can pick up the Starter Edition of For Honor for free on Steam from August 22 to August 27, or Xbox Live Gold members can get the game for free from now until September 15 via Games With Gold. Arcade mode focuses on micro-stories within the larger war, and each quest plays out differently. Players start out by selecting a difficulty level (Common, Rare, Heroic, Epic, and Legendary) that corresponds to their own gear score. Your gear score won’t lock you out of a challenge, so if you want to tackle a Legendary quest with Common gear feel free, just be warned that a single misstep will likely result in a premature death. Once you pick a quest, you’ll jump into individual combat chapters of increasing difficulty, either solo or in co-op. 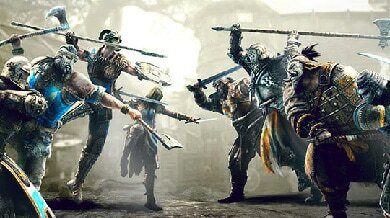 Players who own Marching Fire will also be able to invite any friend to join their co-op session, even if that friend doesn’t own Marching Fire. What truly changes the experience are combat modifiers. Modifiers are buffs and debuffs that are randomly applied to both you and your AI opponents; they add a whole new layer to gameplay that will force you to adapt your fighting style and strategy. Positive modifiers can take many forms, like granting you health for a successful hit, or making you unthrowable, while negative ones can leave you without the ability to parry, or cause you to steadily bleed out over time. The nature of the modifiers, and their severity, are dictated by quest difficulty. A Common quest will likely grant you a buff like regenerating health, while saddling your enemies with a mixture of buffs and debuffs; while a Legendary quest will likely make things difficult for you by weighing you down with an increased stamina cost, and granting your opponents fire damage with each attack. The possibilities and combinations ensure that no two quests play out the same. Those warriors who already own For Honor and can’t wait to jump into Marching Fire can pre-order the expansion now to get access to Arcade mode and immediately unlock the four new Wu Lin Heroes. As an added bonus, pre-ordering will also net you the Wu Lin pack, which includes one Elite Outfit for each of the Wu Lin Heroes. If you don’t yet own For Honor and want to get in when Marching Fire launches, you can pre-order For Honor: Marching Fire Edition starting on September 4. 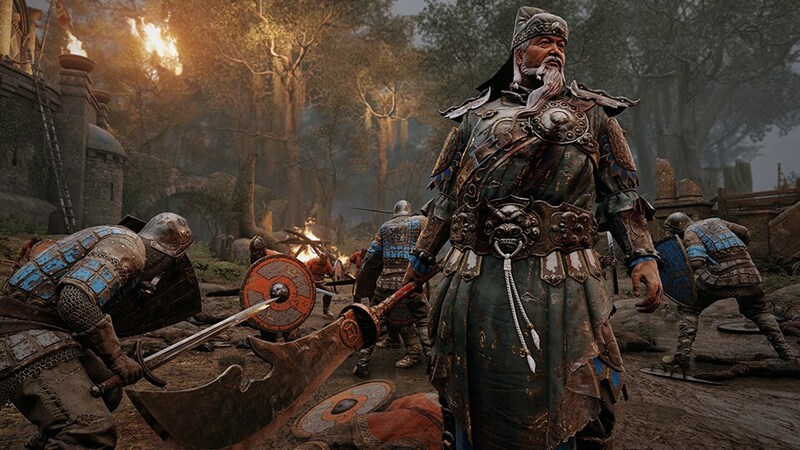 Players who opt not to purchase Marching Fire will still have access to the new 4v4 Breach mode and be able to unlock the Wu Lin Heroes using in-game Steel after the initial early access period. Additionally, all players will receive the free graphical update, user interface update, and new dialogue system coming to For Honor. 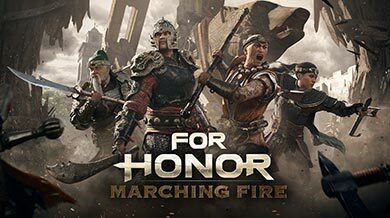 You can get your hands on Arcade mode, along with the new 4v4 Breach mode and four new Wu Lin Heroes, when Marching Fire launches on October 16. 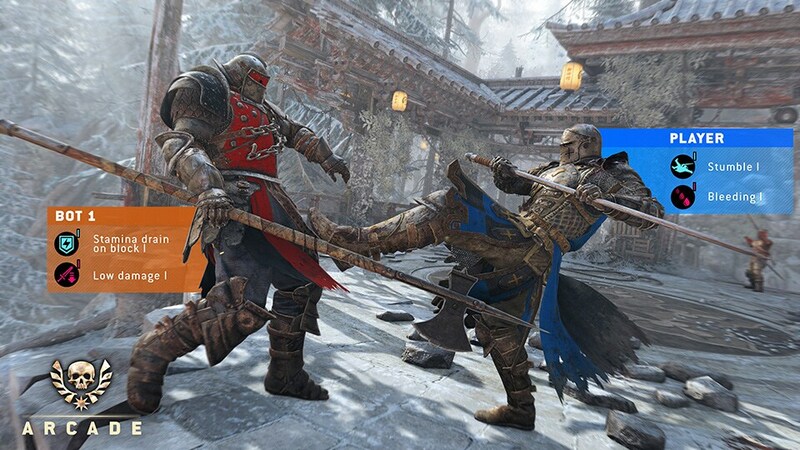 For more on For Honor, take a look at our previous coverage.